The death occurred on Monday, November 19 of Bridget Mollaghan, Templemichael Glebe, Longford. Predeceased by her father Michael. Bridget will be sadly missed and remembered with love by her family, mother Rose, her twin sister Anne (Corcoran), sisters Catherine and Mary, niece Michelle (Shelley), nephew David, grandniece Heidi Michaela, relatives and friends. May she rest in peace. Reposing at Glennon’s Funeral Home, Ballinalee Road, Longford on Tuesday, November 20 from 3.30pm until 5.30pm followed by removal to St Mel’s Cathedral arriving at 6pm. Mass of the Resurrection at 11am on Wednesday, November 21 interment afterwards in Drumlish New Cemetery. The death occurred on Saturday, November 17 of Bobby Jay Rooney, Tinenaire, Edgeworthstown, Longford. Bobby Jay, predeceased by his grandmother Mary. Sadly missed by his parents John and Fidelma, his brother Joe, grandfathers Seamus and Joe, grandmother Phyllis, uncles Stephen, Raymond and John, aunts Natasha, Elaine and Mary, cousins, relatives and friends. Rest in Peace. Funeral Mass on Tuesday, November 20 at 12 noon in St Mary's Church, Edgeworthstown, with burial afterwards in Carrickedmond Cemetery. House private, please. The death occurred, Peacefully, in the loving and devoted care of the staff at the Sacred Heart Home, Roscommon, on Saturday, November 17 of Mary Kelly (née Farrell), Ballybride, Roscommon Town, Roscommon, formerly of Clonmore, Killashee, Co Longford. Predeceased by her son Brendan. Beloved wife of Vincent and loving mother to John and Brian. She will be very sadly missed by her family, daughters-in-law Ann, Siobhán and Louise, grandchildren Emily, Alex, Peter, Deirdre, Fiona, Philip, Shane, Liam, Sarah and Lisa, sister-in-law Maeve, godchildren Bernice, J.J., and Ailish, relatives, neighbours and friends. May She rest in peace. Mass of the Resurrection on Tuesday, November 20 at 11.30am in the Sacred Heart Church, Roscommon. Burial afterwards in St Coman’s Cemetery. The death occurred, peacefully at the Regional Hospital, Tullamore, on Saturday, November 17 of William Hoey, Arden, Tullamore, Offaly, late of Mullolagher, Longford. William will be sadly missed by his loving wife Marie, daughters Assumpta, Geraldine, Martina, Gillian and Suzanne, sons-in-law, grandchildren, sisters Kathleen and Nancy, sisters-in-law, brothers-in-law, nieces, nephews, relatives, neighbours and friends. May William Rest In Peace. Requiem Mass on Tuesday morning, November 20 at 10am in the Church of the Assumption, Tullamore. Burial after Mass in Clonminch Cemetery, Tullamore. House Private, Please. The death occurred on Sunday, November 18 of Mary Dolan (née McManus), Corryard Wood, Drumshanbo, Co Leitrim, formerly Maynooth, Co Kildare and Arigna, Co Roscommon, peacefully at her home, surrounded by her devoted husband and family. Predeceased by her parents Tom and Margaret, brother Noel and sister Margaret. Sadly missed by her loving husband Tommy, her twin brother Pat and brothers Tom-Joe, Owen, John and Michael, brothers-in-law, sisters-in-law, uncle, nephews, nieces, extended family, neighbours and her many friends. 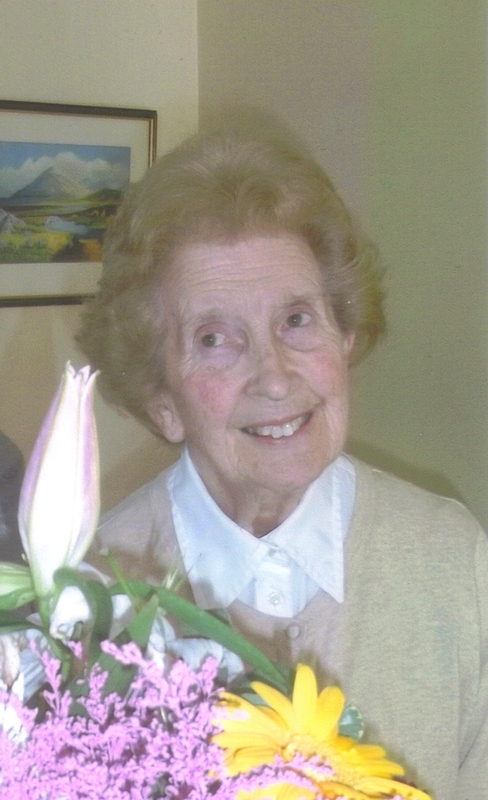 Reposing at her home in Drumshanbo from 3pm on Monday afternoon November 19 until 5pm on Tuesday evening November 20. Removal to the Church of the Immaculate Conception, Arigna arriving at 7pm. Mass of Christian Burial on Wednesday, November 21 at 12 noon. Interment afterwards in adjoining cemetery. Family flowers only please, donations in lieu, if desired, to North West Hospice, The Mall Sligo. May her gentle soul rest in peace. The death occurred, Unexpectedly, on Friday, November 16 of Michael Waldron, Cloonfower, Castlerea, Roscommon and late of Cottage, Ballyhaunis, Co Mayo. Michael, loving husband of Breda (Lavin) and father to Michael. Sadly missed by his wife, son, brothers John and Seamus (Ballyhaunis) Padraic (Cloonfad), sister Carmel Keane (Claremorris), brothers in law Henry (Keane) and Tommy (Naughton). sisters in law Phil and Marie, nephews, nieces, extended family, neighbours and friends. May He Rest In Peace. Reposing at McDonagh's Funeral Home, Castlerea, on Monday evening, November 19 from 5pm with removal at 7.30pm to St Brigid's Church, Cloonbonniffe. Funeral Mass on Tuesday, November 20 at 12 noon with burial in St Joseph's Cemetery, Castlerea. Family flowers only, donations, if desired, to Roscommon Civil Defense C/o McDonagh Funeral Directors Castlerea. House Private Please.